If you make or buy a hat for a newborn it won’t fit a one-year-old. I am sorry, but it won’t. Even if it is very stretchy. The very first hat I made for my sweet baby girl doesn’t fit her now, and she is not even 3 months old yet. But I don’t mind that her crochet pom pom hat doesn’t fit her. 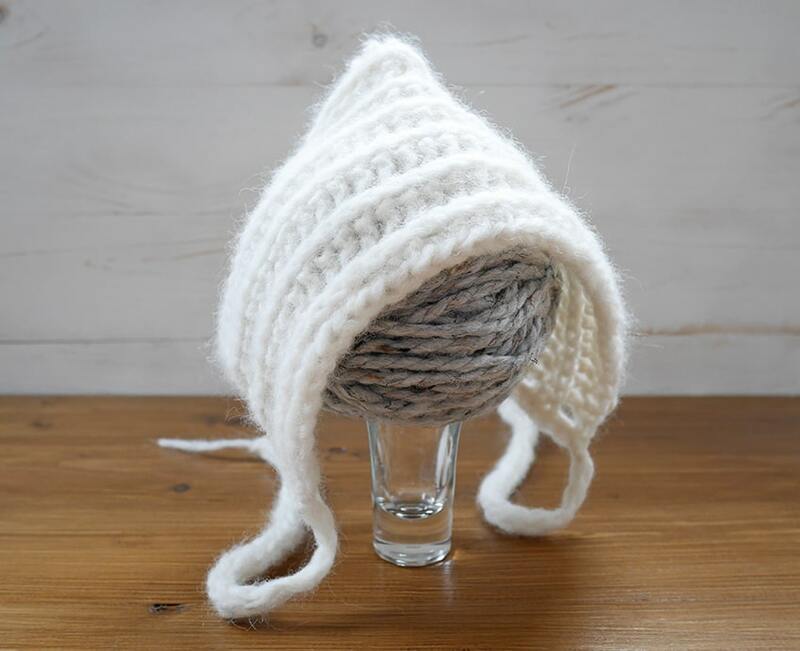 I wanted to make a tiny hat for my tiny newborn. Even if that meant that she would get to wear it only a few times. It’s the one I am going to keep to remember how tiny my baby was. On the other hand, this baby bonnet is a little more forgiving in size and fit. It will be just a little big for a newborn and just a little small for a 3-month-old. But it will fit. It’s not the same as the hat. 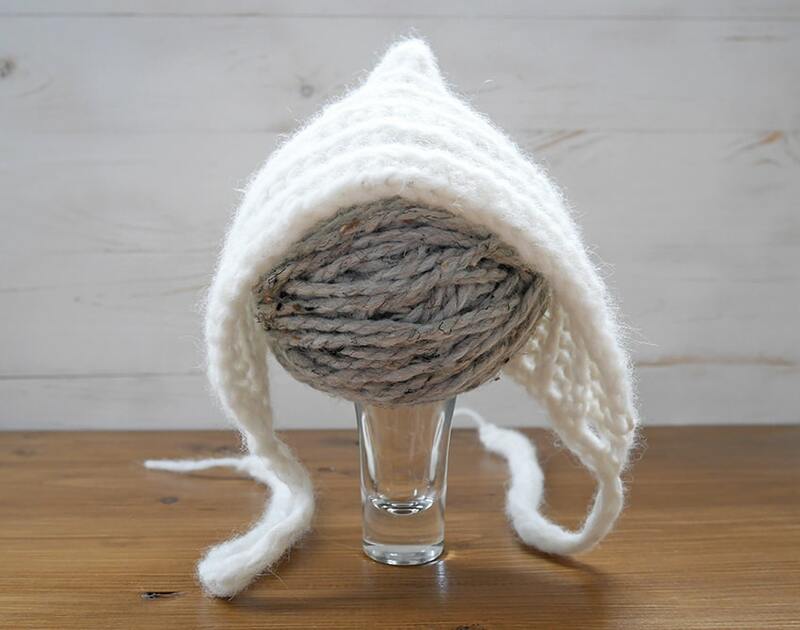 This one will keep your baby’s ears covered no matter what. 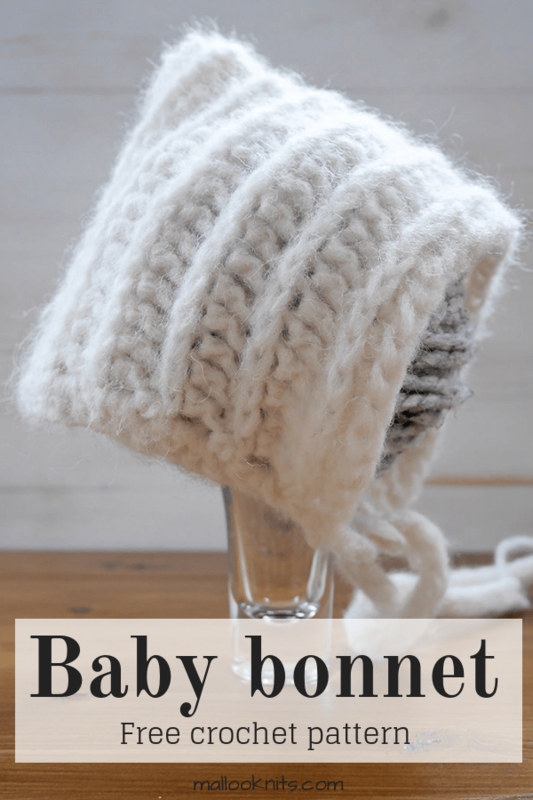 At first, I thought that crochet baby bonnets were a thing of the past, but it doesn’t have to be. 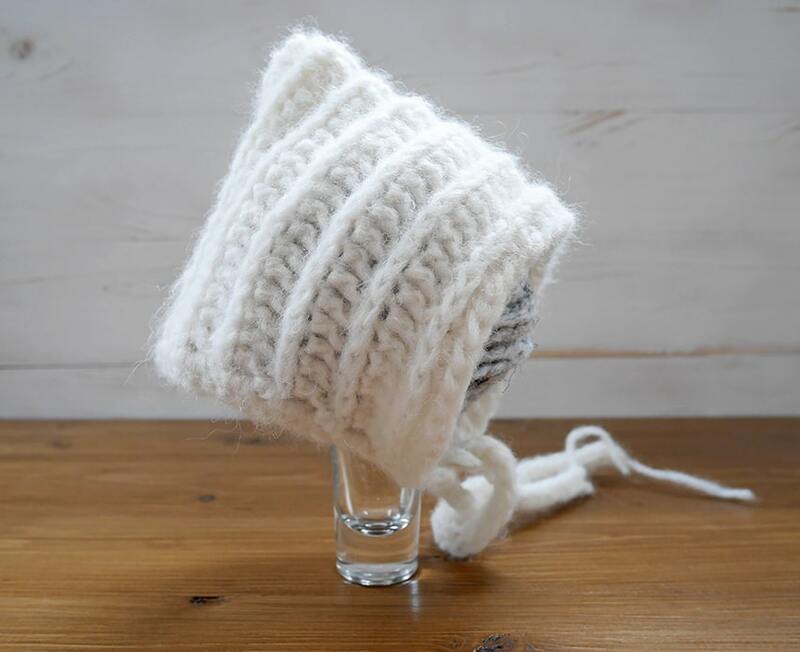 With a simple and modern design, this baby bonnet will steal everyone’s hearts! I used Drops Air yarn which is a category 4 Aran weight yarn. It is a blow yarn, which means that it is lighter and has more yardage per grams than the usual yarns. 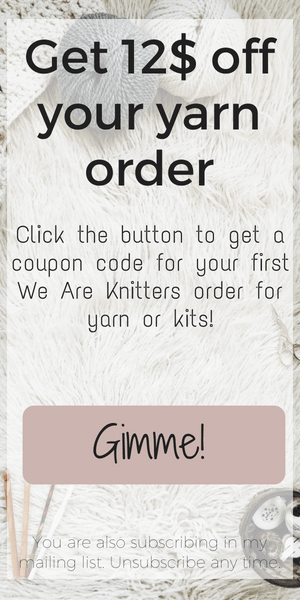 And with 70% alpaca, it is sooo soft! Let’s jump into the pattern! 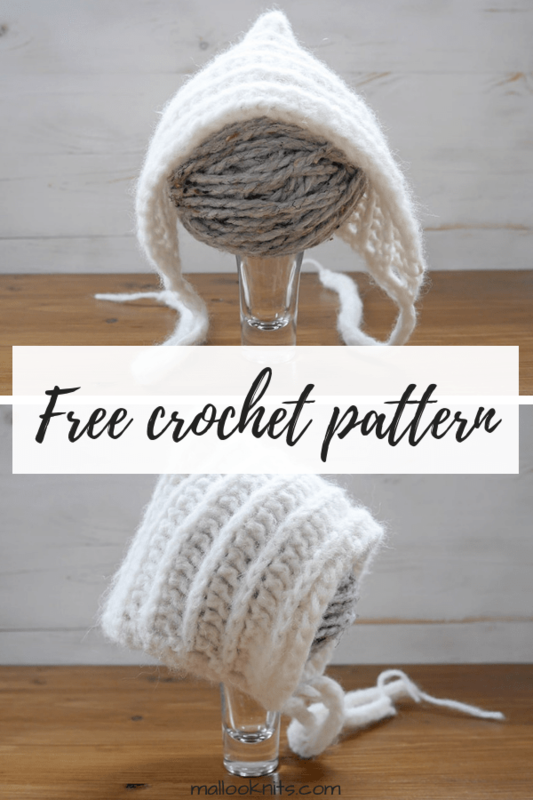 For a tutorial on how to locate the third loop of a half double crochet, you can check out this blog post. Fasten off and weave ends. Fold in half and sew the back side (the foundation row). Single crochet evenly around the bottom of the bonnet. Make two i-cords about 10 inches (25 cm) long, using the tutorial in this blog post and attach them on the bonnet. That’s it! How easy was that? Your crochet baby bonnet is done!